Awesome! Now that the housekeeping’s done and everything’s been updated to the latest chipset hopefully we can look forward to the next generation of Pi hardware! Well, not everything. I certainly have a couple of applications for which a “0+” would be nice. Something in the 0 formfactor but with 5GHz WiFi and an updated SoC with at least two cores active. Only problem with that is power. The zero’s pretty low on power as it is (e.g it’s a really unreliable doing camera + wifi at the same time), cant imagine it’d cope with the upgrade (presumably this is also why the new compute module is clocked at 1.2ghz instead of 1.4? I believe the 1.2GHz instead of 1.4GHz is because the board just isn’t big enough to be a really effective heat sink. 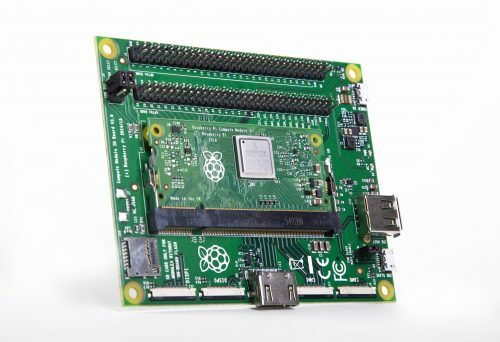 On the rest of this sub-thread…upgrading the Pi0/Pi0W requires a really cheap SoC that is better than–and still compatible with–the BCM2835. Not sure where anyone is going to find such a beast..
We can’t connect to the server at .newark.com. So they are. Thanks for the heads-up; a colleague is fixing this as I type! In the meantime, you can find CM3+ at Newark element14 here. Does it have 1 GB RAM or 2 GB RAM? I think that is very unclear from this Blogpost. All Pis to date (including this one, as it specifies the BCM2837B0 SoC) are limited by the VC4 portion of the chip to 1GB. So…1GB. 1 GB RAM – that’s the maximum a 2837 can address. Maybe a silly question, but I’ve not played with the CM yet. (I think) It has the original CM installed. Does anyone know of any reason why the CM3+ wouldn’t work? I’ve swapped email with Gordon (who designed Slice) and have been told the CM3+ is supported. You’ll need to install an LE 9.0 image to use the correct firmware. For some reason Newark is only selling the CM3+ modules in multiples of 100 units and won’t have stock until May… Is that correct? I’d just like to get two for testing in my existing design. Cool, well on the way to becoming and industry standard. FYI the Model T Ford was available in colours other than black. 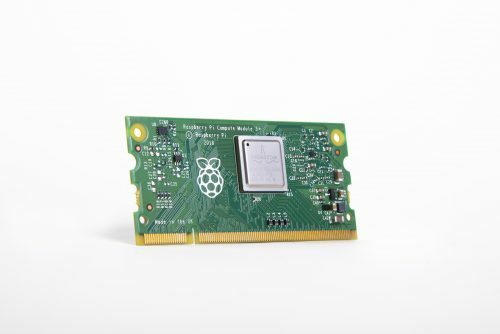 The Raspberry Pi Compute Module 3 + (CM3+) are DDR2-SODIMM-mechanically-compatible System on Modules (SoMs) containing a processor, memory, eMMC Flash (except “Lite” version) and supporting power circuitry. These modules allow a designer to leverage the Raspberry Pi hardware and software stack in their own custom systems and form factors. In addition the modules have extra I/O interfaces over and above what is available on the Raspberry Pi model A/B boards, providing more options and fostering rapid development for the designer. The Compute Module 3 + 32GB has a 200 pin SODIMM design and contains 32GB of on-board eMMC flash memory. Of course, this doesn’t *quite* “complete the set” of upgrading all BCM2837 boards to the BCM2837B0. Oh God. I have nightmares where I’ve unaccountably decided that was a good idea. Heh… It would be the logical thing to do for at least two reasons. First, it would convert all the lines to the new processor stepping. Second, it would help to phase out the A0 production and inventory. If it could move past the 900MHz default of both Pi2B models, it would provide a “modern” Pi B without WiFi, for those applications where that is not only not wanted, but it is desirable to make sure it can’t be enabled because it just isn’t there. It might even be enough to push me away from using my trusty Pi2Bv1.1 boards…about 10 of ’em. If you listen to me, I will be long time too busy to sing you a lullaby. Maybe it is not an easy way, but it keeps this nightmare across the channel. Shameless plug, we make the balenaFin, a CM3 carrier board bringing 5GHz WiFi, industrial power, a microcontroller co-processor and more. 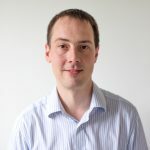 this is a very good update on CM3+, I think this will make CM3+ a popular drone computer to develop professional drone applications. New Compute module 3+ is awesome. By the Way, [shamless plug ⁄(⁄ ⁄•⁄ω⁄•⁄ ⁄)⁄]. Compute Module IO Board Plus of Wavehsare. It is compatible with the Compute Module IO Board V3 of Raspberry Pi Foundation along with various common use components. The waveshare board looks nice. Will they work with the cm3+ ? I wonder if it’s feasible to buy 10 to 100 of these boards, and install them on a single PCB as a mass server? I’m happy to see you mention the “nifty dual camera board” from http://stereopi.com/. I recently picked up two of these boards and they work great with the compute modules. 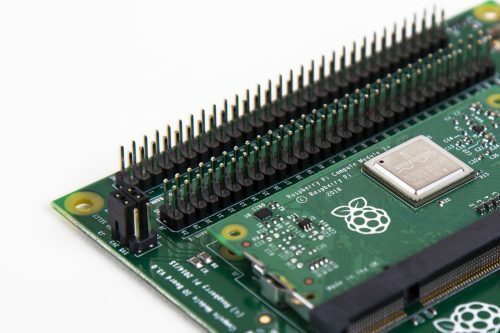 I there any plans to create an 8 core Pi? Ive been using them for OCR using OpenCV, and more horsepower could make them useful in that space for real-time OCR applications. I guess even if we had to use 2 x 5V power supplies that would be fine. Please can you consider that. 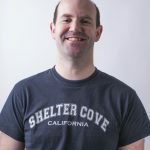 Is it a good idea using the boards for number crunching – stacking them? The shameless plugs were quite interesting, perhaps there should be links or a directory on the pi site of accessible products that use the compute module. I’m hoping to use the pi zero W in a very cost-sensitive IoT-type product. I might need thousands within a year or so. What are my options? Please contact [email protected] if you need to buy bulk amounts of a Raspberry Pi product.